Harley Davidson is an iconic motorcycle manufacturer in America and most probably the most famous motorcycle manufacturer in the world. The company is based in the United States. 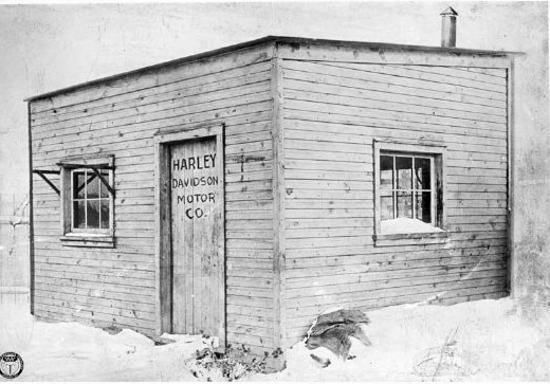 Having been founded out of a small outhouse in 1903 by a 20-year old William S. Harley, the company has achieved massive success. William Harvey built the first powered bicycle using a small engine that had 116 cc capacity. Harley had drawn the blueprint for this engine in 1901. The first garage of this company which measured 10ft by 15ft was a courtyard shed behind their home. This is where the first power-cycle bicycle was made. The Motor Company has grown into the largest motorcycle company in America. It manufactures traditional cruiser motorcycles by utilizing air-cooled V-Twin engines. The first Harley motorcycle was a racing bike that was built in a woodshed that had the name Harley-Davidson Motor Company crudely scribed on it. When Harley manufactured and sold the first Harley motorcycle in 1903, there were several small motorcycle companies that were mushrooming across the country. If we can flash-forward more than a century ago, you’ll find out that Harley-Davidson brand is so rooted in the American culture that the history of this motorcycle company interweaves with the history of America. 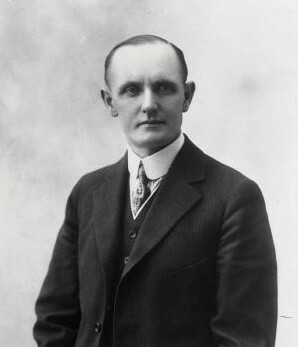 After the first motorcycle in 1903 was already a successful fact, his brother Arthur Davidson joined the company and got involved in the business. Arthur was 21 years old at the time. They now opened a dealer shop in 1904 and managed to sell three Harley motorbikes. In 1905, a Harley model won a 15-mile race in Chicago. In the same year, the Harley Motor Company hired its very first employee and a year later; they opened up a bigger factory where they hired five more people. They became the first company to produce the first catalog for a motor vehicle in the world in the year 1906. 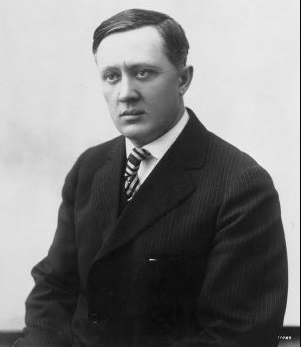 William Harley and Arthur Davidson later joined forces with their other brother Walter Davidson and the Harley-Davison Company was born in 1907. Then the company started gathering pace. Harley-Davidson established roots in Milwaukee and began hiring employees. By the end of the decade, they were producing motorbikes using its 45-degree V-Twin engine that was air-cooled. In 1912, the Harley-Davidson started the construction of what was to become a six-story building located on Juneau Avenue in Milwaukee. In the same year, the company started extending and exporting their bikes to Japan. The US dealer networks were expanded to two hundred branches in 1913. In 1914, the Harley-Davidson opened a racing department, and they started releasing sidecars. The company started becoming more successful, especially after they were given a contract to supply the US army with motorcycles. By 1917, close to one-third of all the company production was going to the US army. After 20 years of operation, Harley-Davidson became the largest motorcycle manufacturer in the world as they supplied their models to 67 countries. Eight years later, in 1928, the company manufactured two cam engines on the JD series that could reach a maximum speed of up to 100 mph. An important moment in the history of this US-based company came when the 45-inch V-Twin engine was incorporated into the D model in 1929. In 1936, Harley Davidson introduced the EL model that was powered by a 61cc engine. The model was later dubbed the Knucklehead and was used by Joe Petrali in 1937 to set a new speed record on land by clocking 136.183 mph. In 1941, when the US joined the World War II, Harley stopped manufacturing civilian bikes and started focusing on making military vehicles. When the WWII was ending in 1945, Harley-Davidson had made a lot of new models of the military vehicles, but the most successful model was the WLA, which Harley manufactured 90,000 units of it. In 1946, they went back to manufacturing racing motorcycle by introducing 45ci flathead WR which was used by Jimmy Chann to win the first of the three successive AMA Grand National Championships. Harley-Davidson celebrated their half a decade anniversary in 1953 and 1957; they introduced the Sportster, the oldest model in the current H-D series. Harley changed ownership in the early 1960s and went public in 1965. They eventually merged with AMF (American Machine and Foundry) in 1969. After a decline in fortunes, the AMF sold its stake back to the members of the founding families, who are still the current owners. That was in the 1980s. 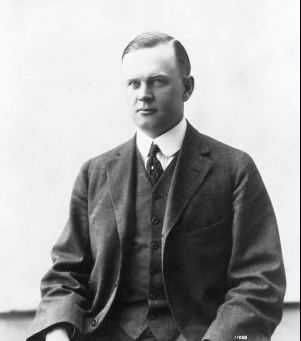 The Davidson family was involved in the daily activities of H-D as their direct descendant William Davidson taking the role of styling. Between 1980 to late 1990s, the company introduced a model series that continues to be improved to date. Among the popular models introduced during this period include FLT, Softail, and Road King series, joining classic models such as Electra Glide. The Harley-Davidson dominated the sports bike/street bike market by selling Buell motorcycles in many of its dealer shops. After 100 years in the motor industry, Harley-Davidson has retained and built its image as an iconic company in America. It’s now reaching out to other riders with the manufacture of more performance-based models such as V-Rod, which is the first model to be powered by the liquid-cooled engine. To keep up with the changing trends, H-D is breaking into the younger market by releasing edgier models of its classic series such as the Cross Bones. The company has also been improving the riding experience of its touring bikes. For instance, in 2009, it did away with the welded and stamped single-piece frame that had anchored their touring motorcycles for the last three decades. They replaced it with a single-spar, rigid backbone frame. They also introduced the wider and longer swingarm to their touring motorcycles. H-D also introduced Tri Glide, a three-wheel motorcycle with classic styling and amazing touring features of its Electra Glide. Harley-Davidson history is rich with amazing innovations and social impact. The company’s dedication and willingness to continually improve its products and the good relationship it has created with its customers create a deep bond that is both brand loyalty and national pride. From its inception, the company has retained its rich history and brand (Harley-Davidson) making people relate to it in a deeper way. The company has a museum where they display the key historical elements and company innovations since its inception. Therefore, if you want to know more about Harley-Davidson, you can visit the company’s museum to learn more about its history and the company innovations. Today, The Harley Davidson Company owns close to 62% of the market for motorcycles in the 850cc or more, in America. For a beautiful and very detailed timeline of the company, you can visit their official site, where you will also find some more cool and interesting stuff about the history of this great business: https://www.harley-davidson.com/content/h-d/en_US/home/museum/explore/hd-history/1900.html. Thanks for reading this article, please, consider sharing it as sharing is caring! Thanks!